Most people are not aware of the harmful effects of wearing shoes that are improperly fitted to their feet on their general health. Mobility issues that are seen in older people and those who are in the nursing homes are caused by long years of wearing uncomfortable footwear and feet neglect. Wearing tight fitting footwear can cause many foot problems like bunions, calluses, and ingrown toenails. It can also cause a profound effect on the overall health particularly the back. It is therefore imperative to wear the right shoe that best fit your feet. Birkenstock shoes are a great way to maintain good foot health and at the same time prevent development of foot conditions down the road. 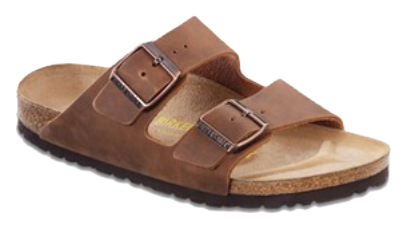 Birkenstocks are known for their comfort and their foot beds which are unsurpassed by no other. 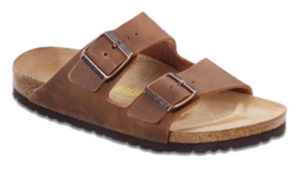 As Birkenstock shoes allow the feet to rest in a proper and natural alignment, they give full comfort for the feet as well as the body. 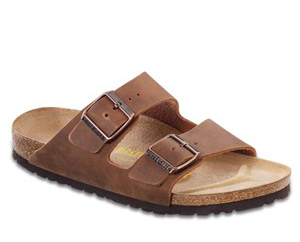 Your feet will sit in perfect natural alignment when wearing these shoes as Birkenstock has gone over 200 years perfecting their shoe foot beds. 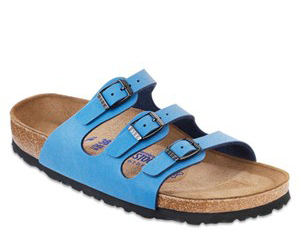 The longer you wear Birkenstock shoes the more comfortable they become. This is due to the fact that each of their foot bed is designed to perfectly mold to the shape of your foot and in the process of wearing it, you will make the foot bed your own. It will be like your footprint. In fact, if you let someone else tries to wear your shoes they will not be as comfortable as you would feel. The foot beds are made of leather and cork mix together that will allow a person to walk with full comfort and support. The materials used of the foot bed are also designed to create a perfect environment against fungus and sweat. The rest of the shoe are made of soft leather, nubuck, suede, and select man-made materials. They are easy on the feet and will not cause any painful chafing or rubbing. Additionally, Birkenstock soles are designed to absorb impact and so they reduce the stress on your feet, ankles, legs, as well as spine. 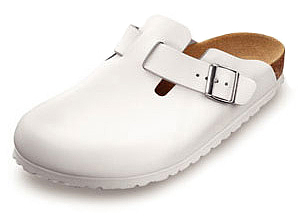 Clearly, your foot health is something to be taken seriously and Birkenstocks for health shoes are the best footwear.